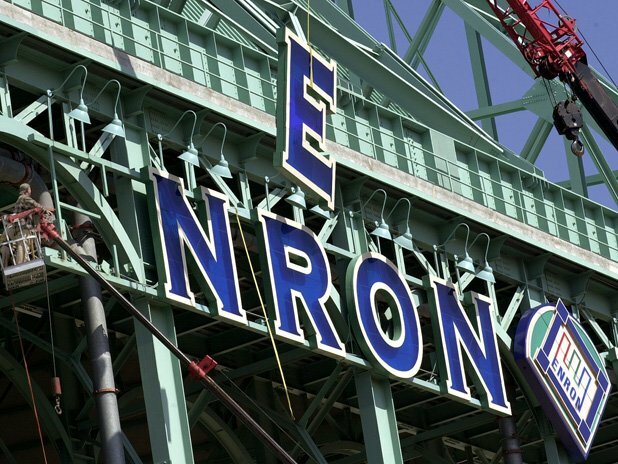 Second, fans and even teams are sometimes not such big fans of the companies that bought their stadium's name. A good example is that of the Philadelphia 76ers, whose owners have long refused to call the place where they play the Wells Fargo Arena, and instead use euphemisms like "the arena where we play". While impressively passive-aggressive, this does get in the way of Wells Fargo extracting maximum value for its stadium sponsorship. 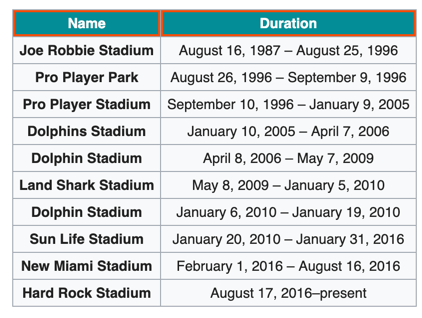 Some companies try to get around local truculence by purchasing naming rights to multiple stadiums, even in the same league, like the way American Airlines has done with rights to both Miami and Dallas. The most recent example of name game fun is that of United Airlines and its $69-million deal for naming rights to the Los Angeles Memorial Colosseum. Under the deal with USC -- part of a $270-million renovation -- the stadium was to be renamed the United Airlines Memorial Colosseum. This is a strange name, to be fair, sounding more than slightly like it's a memorial to United Airlines, like United has gone away, which it hasn't, at least not yet. Local politicians and veterans aren't happy, however, arguing that the new name gives short shrift to the key "Memorial" part of the name. The enterprising development people at USC have proposed changing the name, to something more like the United Airlines Field at Memorial Colosseum, which is a) a handful, and b) likely to, in practice, make the United Airlines Field part ignored, which already has United wondering why it should pay $69-million anyway. Perhaps unsurprisingly, United has offered to back out of the whole deal, which is causing more scrambling. Given all of this, why do companies persist in purchasing naming rights for stadiums? The direct economic rationale is dodgy, given that it's not because having naming rights adds persistently to company profitability. Instead, it seems to be a combination of corporate ego, stadium owner greed, and small numbers of exclusive goods for sale. All of this suggests that nothing is going to change, and companies will keep purchasing naming rights, which will continue annoying fans, team, and politicians, but producing entertaining Wikipedia articles.